New Zealand will hold a national remembrance service for victims of the Christchurch massacre on 29 March. The government made the announcement as the country continues to grieve following the shootings that have shocked the world. The service will take place in Christchurch at 10am local time, two weeks after a man shot 50 Muslims and wounded dozens of others during Friday prayers at two mosques in the city on 15 March. 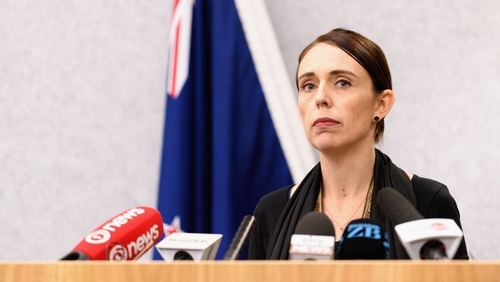 In a statement, New Zealand’s prime minister, Jacinda Ardern, said: "The national remembrance service provides an opportunity for Cantabrians (Christchurch-area residents), New Zealanders and people all around the world to come together as one to honour the victims of the terrorist attack. Brenton Tarrant, a 28 year-old Australian man, was arrested within minutes of the attack and has been charged with murder. Ms Ardern said: "In the week since the unprecedented terror attack there has been an outpouring of grief and love in our country." The service will be held at Hagley Park in Christchurch, located across the street from the Al Noor Mosque where the killing began. Most victims were shot at Al Noor, and seven at the smaller Linwood Mosque several kilometres away. Police subsequently took over the mosques for investigations and security reasons, but handed them back to the Muslim community yesterday, Saturday. The faithful were allowed back into Al Noor shortly afterwards, and today Linwood re-opened after both sites underwent work to repair bullet holes and clean bloodstains.